Organic farming is carried out in at least 160 countries worldwide of which 50 per cent are from developing countries. Almost 37.2 million hectares of agricultural land (including in-conversion areas) are managed organically. In addition to the certified organic agricultural land (including in-conversion areas) there are 0.4 million hectares of organic agricultural areas, 31.1 million hectares of organic wild collection and bee keeping areas, and 0.3 million hectares of further non-agricultural land. More than one third of the world’s organic agricultural land is in Oceania (35%), followed by Europe and Latin America (both 23%). Eight countries have more than I million hectares of organic agricultural land. Six countries have more than 10 per cent organic land. The countries with the largest areas of organic farmland during 2009 are: Australia (about 12 million hectares), Argentina (almost 4.4 million hectares), Italy (almost 1.1 million hectares), USA (1.9 million hectares in 2008), China (1.8 hectares in 2008), India (1.2 million hectares) and Brazil (1.7 million hectares in 2007). In Europe, more than 9.3 million hectares (including conversion areas) agricultural land is under organic management. In most Asian countries the area under organic agriculture is still very low, but it is increasing rapidly. Among the more significant countries producing organic products are China, India, Indonesia and Japan. Further, in some developing countries there are large numbers of farmers that practice either traditional agriculture which doesn't rely on purchased inputs, or farmers that just can't afford to buy inputs. For example in Uganda and Tanzania the average use of chemical fertilisers is less than 1 kg per hectare and year. It means that most land is never fertilised. 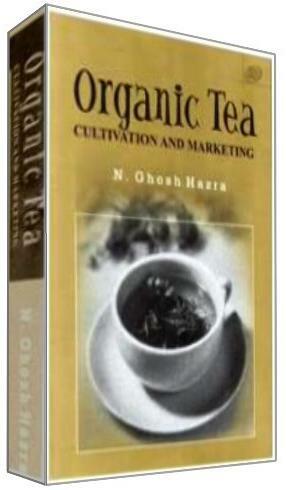 Globally, the organic market reached 54.9 billion US dollars in 2009. A large part of the turnover was in Europe (48 per cent) and in North America (48.1 per cent). 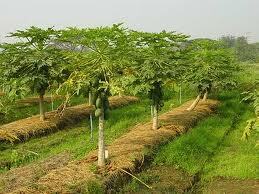 At present more than 60 countries have a regulation / law on organic farming. The main organically produced product groups which are traded internationally are: fresh fruit and vegetables, dried fruits and nuts, processed fruit and vegetables, coffee, tea and cocoa, spices and herbs, oil crops and derived products, sweeteners grains, dried leguminous vegetables, meat, dairy products, eggs, alcoholic beverages, processed food/food preparations. India started exporting mainly tea to Europe in the early 90s and also set up the first partnerships with German organic food companies. Today a large selection of approx. 300 products is available in some 20 product categories: from tea, spices, fruit, rice, corn and vegetables to finished products and organic cotton. More than 40% of the products are exported to Europe, and other trading partners are Canada, the USA, Australia, New Zealand, Japan, Switzerland, Korea and countries in the Middle East and Southeast Asia. Export is a mainstay of organic marketing and is to be expanded further to reach a volume of one billion US dollars by 2015.